Description: Triangular pennant; hanged horizontally. White and blue. 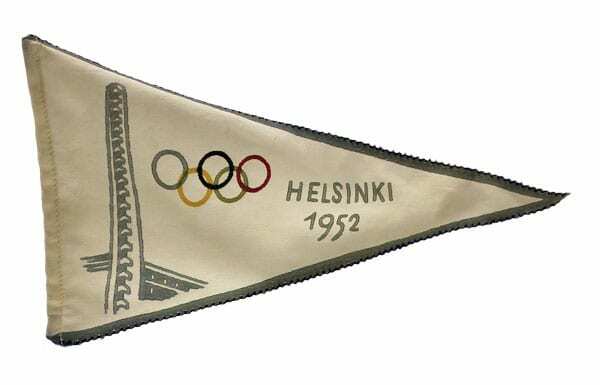 Coloured Olympic rings, the Stadium tower and the text HELSINKI 1952. A cord attached to the left edge. Other information: Sold (à 500 Fmk) for the benefit of Finnish Olympic athletes.